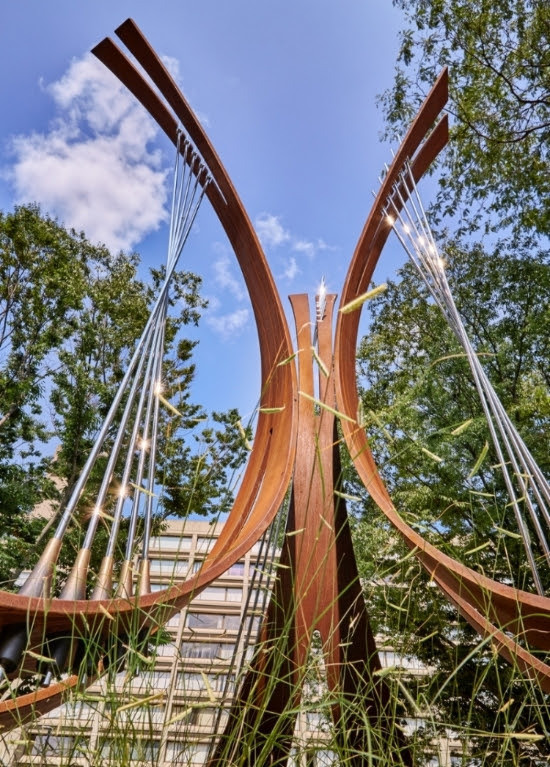 The 16-foot high sculpture is made of granite, Corten steel, cast bronze and stainless steel and represents the completion of an 8-year, community-driven park transformation. 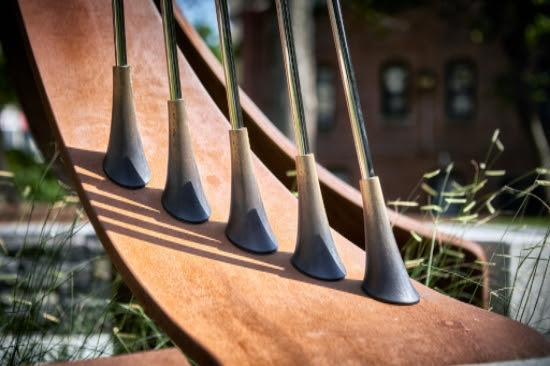 The artwork ties to its musical surroundings with the sculpture’s arching forms that evoke symphonic instruments and musical elements. 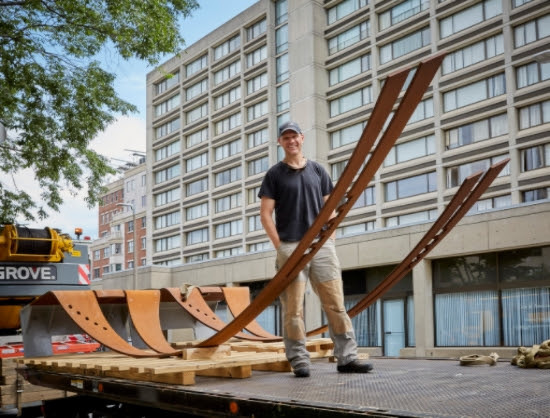 Kulin’s “First Chair” sculpture was inspired by his appreciation for Scandinavian design and developed through collaboration with Jon Pate of Pate Landscape Architecture. 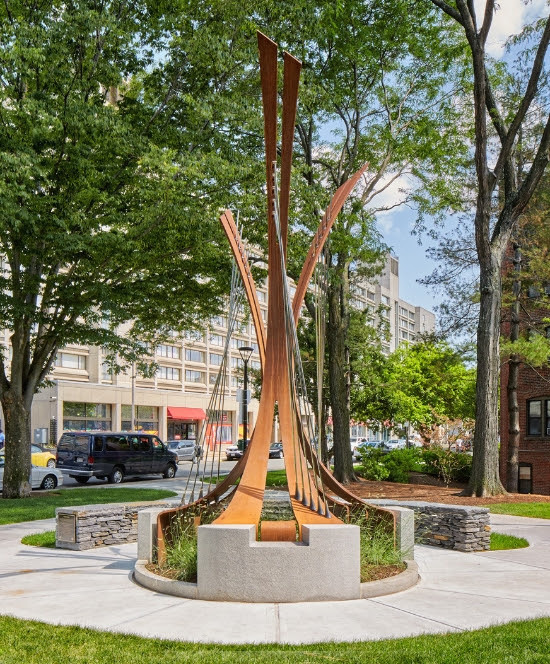 The debut ceremony (located at Edgerly Road between Burbank and Norway streets in the East Fenway) will include commentary by Mayor Martin J. Walsh, Chief of Arts Julie Burros and Fenway Alliance Director Kelly Brilliant. Musical performances by Berklee College of Music classical musicians will take place concurrently. The unveiling sponsors include the Boston Symphony Orchestra and the Friends of Symphony Park. Jacob Kulin is an accomplished sculptor, metalsmith and furniture maker. He graduated from Skidmore College and received a Master of Fine Arts degree from Cranbrook Academy of Art. He currently works on private, corporate and public commissions internationally throughout various spaces.